We’re now getting an idea of just how expensive shutting down coal plants can be. A study by IHS Markit, an energy research firm, shows that higher electricity prices resulting from a loss of fuel diversity, due in large part to the shutdown of coal plants, could lead to the loss of 1 million jobs, the loss of $158 billion to the nation’s economy, and the loss of $845 in disposable income for every American household per year. The shutdown of coal plants is already costing Americans dearly. From 2007 to 2016, 531 coal units representing 55,600 megawatts of electricity were closed across the U.S.
Last year the retirements continued at an increasingly rapid pace, with 27 coal plants totaling 22,000 megawatts announced for early closure or conversion to natural gas. Here in New Mexico, coal power is seriously at risk. Public Service Company has signaled it might start closing coal plants in 2022 and completely end coal generation by 2031. There’s nothing wrong with these plants. They continue to perform extremely well. But there’s something seriously wrong with the markets in which they’re operating — which do not value baseload capacity that can be dispatched when needed and which do not provide value for fuel diversity or price stability. If we are serious about protecting electricity consumers, we must change the calculus. To stop the shutdown of coal plants, we need to tip that calculation in coal’s favor by underscoring the importance of fuel diversity to the electric supply system, the fact that this diversity is seriously at risk, and the importance of coal as part of the portfolio. We need to challenge the assumption that consumers save money when natural gas replaces coal in electricity production. The IHS Markit study found that the current diversified U.S. electricity supply — coal, natural gas, nuclear power and renewables — reduces the cost of electricity by about $114 billion a year and lowers the average household price of electricity by 27 percent. We would be foolish to turn our back on coal as part of the energy mix. There is unlimited supply of fuel, and it is not dependent on foreign suppliers. We would be taking a huge gamble to think we could meet our everyday needs for electricity, power our economy, switch to electric vehicles, and compete in international markets without keeping our coal plants in operation. Increases in industrial output and in productivity will continue to require expanded use of electricity, because it is the most efficient form of energy available. Countries like Germany and Australia recognized coal’s substantial economic benefits years ago. But in this country we dithered. 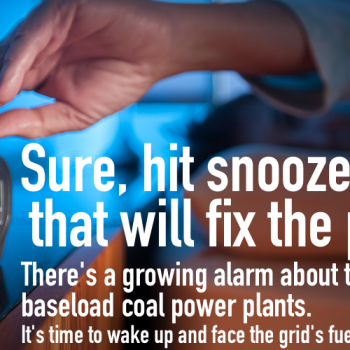 It’s not too late to raise coal on our level of energy priorities. Coal remains among our cheapest energy options. Let’s remember that along with the challenges, there is good news: Our vast coal reserves and ongoing research into more efficient coal technologies will keep coal in the limelight for decades.